It is our professional duty to provide high-quality watch repair. Our company is like a fine-tuned clockwork where every detail is in its right place and serves a specific purpose. Servicing other mechanisms is a natural extension of our activities. Chrono.lv is not an official distributor of any of the brands represented. 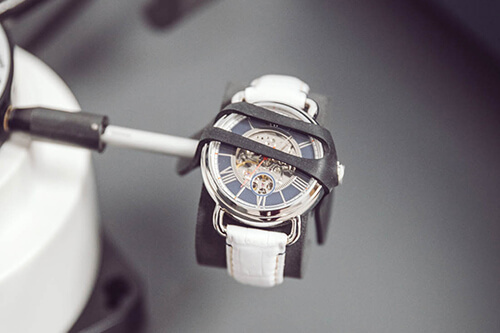 Swiss and luxury clockworks are famous for their precision, and repairing them requires accuracy to match. Chrono watch workshop is equipped with Bergeon and Breitling tools, and Elma, Greiner, and Witschi equipment. The chemical laboratory of our workshop allows us to perform manipulations that require particularly sterile conditions – polishing, cleaning, micro-dust removal. 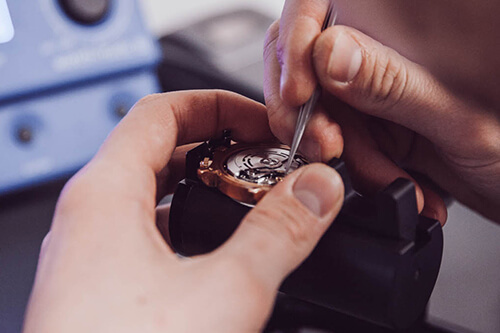 We use accredited Swiss equipment and original spare parts only for any part replacement, preserving the true value of the watch and ensuring its longevity. 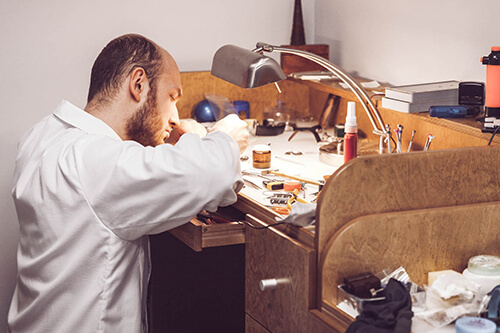 Our watchmakers specialise in Swiss watch repairs. The lead watchmaker of our workshop has received certificates from Swiss manufacturers such as Maurice Lacroix and Raymond Weil. The watchmakers of our workshop continuously learn about the latest solutions in watch engineering by visiting the Bergeon factory in Le Locle, Switzerland.